It is one of the most common mistakes. Most of us fall foul of it. What am I talking about? Failing to practice proper form. While most of us like to think we’re nailing it at the gym, the truth is many of the exercises we’re doing are not nearly as effective as they could be. [quote_right]For all your hard work to pay off you need to practice perfect form. [/quote_right]One of the most important factors that determines success in your workouts (i.e. getting the results you want) is how you master each move – be it strength or cardio. Indeed how you execute technique has a massive bearing on injury risk. For all your hard work to pay off you need to practice perfect form. For more on this, check out why you need to practice proper form. It’s super easy to slip back into bad old habits, so proper form is something you should always have in the back of your mind. Read on for a quick rundown on proper form for popular activities. Run tall and relaxed. This will immediately troubleshoot about 90% of form issues. Look ahead. Don’t stare at your feet, focus your eyes on the ground about 10 to 20 feet ahead of you. Keep your face, arms, shoulders and hands relaxed. Too much tension wastes energy and places stress on parts of your body that just don’t need it. Don’t clench your fists and keep your shoulders down and square (not hunched). Shoulder tension is especially common, so remember to keep your shoulders down and relaxed. Land on your mid-foot. Avoid landing on your heels or toes. Land lightly on your mid-foot, rolling softly onto the front of your foot. Keep your footfalls light. Don’t pound the ground. Swimming is fun. But when you actually do it properly there’s a lot to think about; swimming is a rather technical activity. Swimming with incorrect technique increases injury risk. It also impedes efficient progress through the water slowing you down and making you work harder. Buoyancy is your friend. 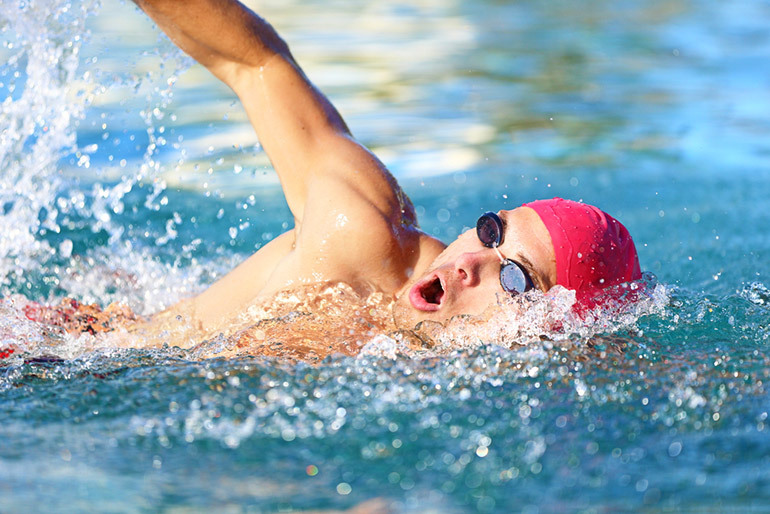 Taking maximum advantage of your buoyancy will improve your swimming speed. The center of buoyancy varies from person to person, but will be in the region of your breastbone (sternum). Balancing yourself on your center of buoyancy will help you glide through the water with greater ease – especially for the front crawl, breast and back strokes. To maximize your buoyancy consciously push your upper chest into the water. This will raise your hips closer to the surface (stopping that feeling of your legs sinking), give you better balance and reduce resistance. Make your body long and narrow – streamlined – to reduce resistance. Simply pause ever so briefly (with one hand extended out in front of you) to create a longer glide, aid balance and streamline your body as you’re propelling it forward. Don’t lead with your forehead. Instead lead with the top of your head for better head-spine alignment. You should be looking at the bottom of the pool. Keep your fingers together so you catch as much water as possible per stroke. Your hands will also enter the water more cleanly which saves you energy. Minimize splash. Splash and waves equals wasted energy. Lots of splashing will tire you out quickly but do little for driving you through the water. Splash less and you’ll swim further and faster more easily. Learn to breathe on both sides when swimming freestyle/front crawl. Breathing on one side only can result in muscular imbalances which in turn can lead to pain and injury. Adjust your saddle so that your knees are 10-degrees short of extension at the bottom of each pedal stroke. This will prevent unnecessary wear and tear on your knees. 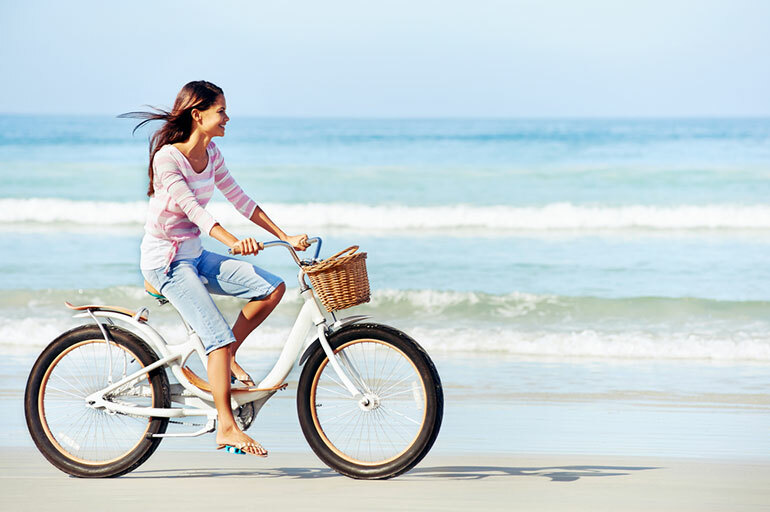 Make sure your handlebars are approximately level with your saddle to avoid leaning over too far. Leaning too far forward may improve your aerodynamics slightly but can also make your lower back very sore. Stretching is as simple as it gets. But truth be told, a lot of us are doing it wrong. And getting it wrong can lead to injury. Good news is, most of these issues are easily solved. Ease into your stretches. 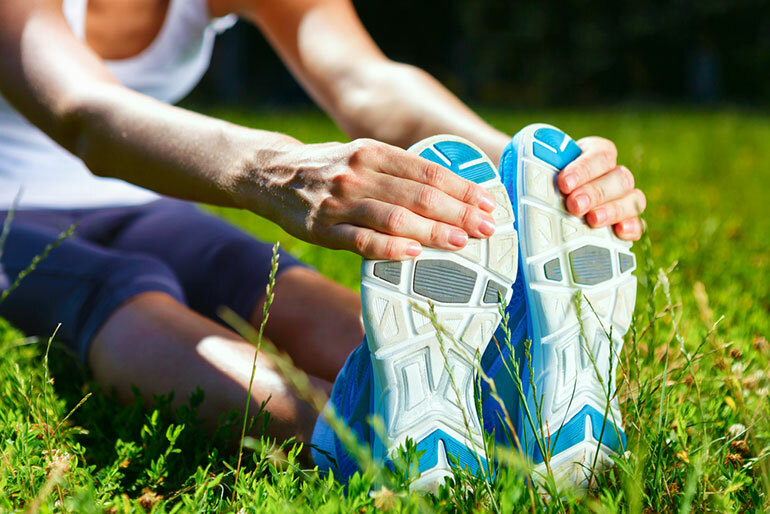 Your muscles take a few seconds to relax when you start to stretch them and are initially resistant to being elongated. To avoid injury, gradually ease into your stretches and only go deeper as you feel your muscles begin to relax. Typically, it takes 10 to 15-seconds for muscular tension to ease off, after which you can ease into a deeper stretch. Only stretch when your muscles are warm. Stretching a cold muscle is a good way to injure it. Warm muscles are more responsive to stretching and less prone to being injury. Don’t bounce when stretching. Little bounces and jerky movements encourage your muscles to tighten up rather than relax and if you do it too vigorously, you may end up pulling a muscle. So stretch smoothly. Lift smart as well as hard for best results at the gym. Lower the weight under control. You are anywhere between 15 to 30-percent stronger when you lower a weight compared to when you lift it. To take advantage of this, lower your weights more slowly then you lift them. A good rule of thumb is to take twice as long lowering the weight as you do lifting it. No bouncing! Bouncing out of the bottom of any exercise makes use of elastic energy stored briefly in your muscles and tendons – not unlike stretching an elastic band. While this technique does allow you to lift more weight or complete more reps, it comes at a price – a highly increased risk of injury. For safety reasons, pause briefly at the bottom of each rep and control the transition between lowering and lifting to eliminate bouncing. 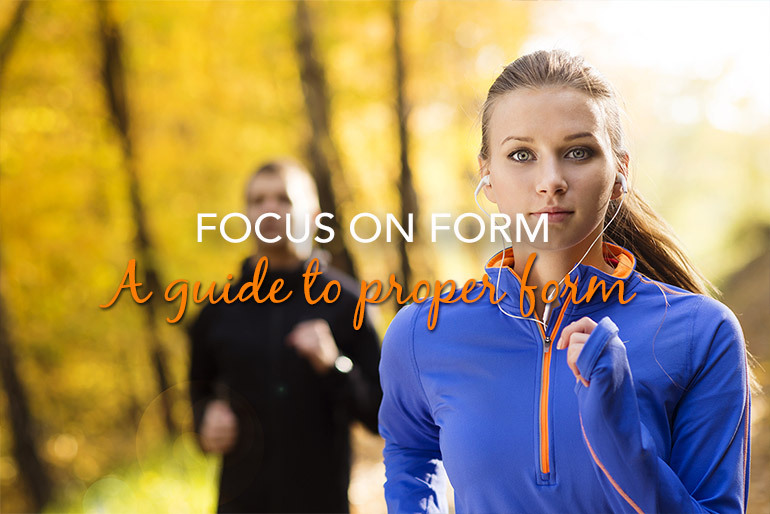 Focus on form, not weight. While you absolutely will be able to lift more weight if you use compromised exercise form, the risk of injury outweighs any perceived benefit. A properly performed set using a moderate weight will be much more productive than a badly performed set with a heavier weight. Plus it increases your risk of injury. Focus not only on the weight you are lifting but how you are lifting it for maximal training effect.